Valencia', or 'Valencia Late', is the most important cultivar in California, Texas and South Africa. It has been the leader in Florida until recently. In 1984, 40% of the oranges being planted in Florida were 'Valencia', 60% were 'Hamlin'. The 'Valencia' may have originated in China and it was presumably taken to Europe by Portuguese or Spanish voyagers. The well-known English nurseryman, Thomas Rivers, supplied plants from the Azores to Florida in 1870 and to California in 1876. In Florida, it was quickly appreciated and cultivated, at first labeled 'Brown' and later renamed 'Hart's Tardiff, 'Hart' and 'Hart Late' until it was recognized as identical to the 'Valencia' in California. It was not propagated for sale in California until 1916 and was slow to be adopted commercially. AKA the 'Summer Orange', the Valencias are sweet, juicy, and nearly seedless. It is smaller than the 'Washington Navel', with a thinner, tighter rind; is far juicier and richer in flavor; nearly seedless except in Chile where the dry climate apparently allows better pollination and development of many more seeds -up to 980 in 44 lbs (20 kg). It needs a warm climate. 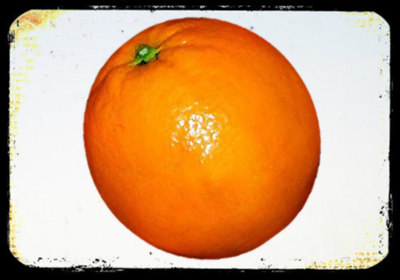 In fact, it is the most satisfactory orange for the tropics, even though it may not develop full color in warm regions. In Colombia, the quality is good from sea-level to 5,000 ft (1,600 m). It bears two crops a year, overlapping and giving it the great advantage of a late and long season lasting until midsummer. The fruits on the trees in spring will regreen, lose their orange color and turn green at the stem end, but the quality is not affected. They were formerly dyed to improve market appearance but since the 1955 Food & Drug Administration ban on the synthetic dyes used on oranges, they have been colored by exposure to ethylene gas in storage. The gas removes the chlorophyll layer, revealing the orange color beneath. Degreening does not occur in California where 'Valencia' oranges from one growing area or another are marketed from late spring through fall.